As we enter the month of June, realisation is suddenly starting to dawn on me that we are heading straight into summer - and it's time to step up the beauty regime. In true blogger style, I thought it would be good to document the process and so you can expect to see a few more parts to my 'I solemnly declare its summer...' posts over the next few weeks. I'm due to go on holiday in a few weeks, and the prospect of slipping into a tiny bikini is definitely feeling a little bit daunting. I work out, I eat reasonably well and do generally take care of myself - but getting my legs out (thigh up AND ALL!) in a sun drenched location does make me a little nervous. One item I picked up was a long handled wooden brush. Why? Well because scrubbing this up and down your legs every day can make them look pretty damn good. Body brushing has been a 'thing' for a little while now. It effectively exfoliates your skin, and frequent use is supposed to improve lymphatic draining, blood circulation and reduce the appearance of cellulite. While so far I, *touch wood* have managed to avoid the dreaded peely skin. 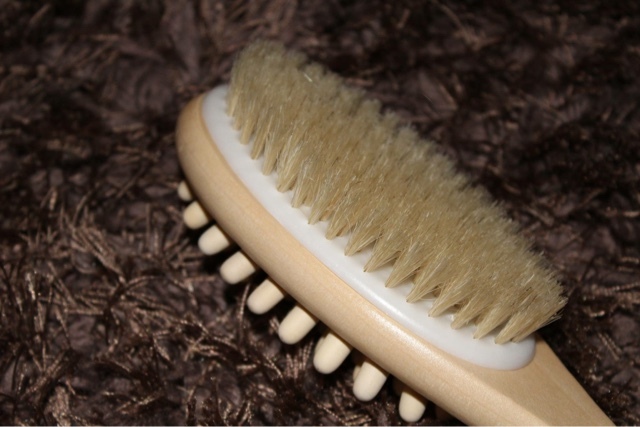 That said, I view body brushing as a positive preventive measure to get into the habit of doing early. Additionally, it's believed to generally improve muscle tone which is obviously a further benefit. Since including this in my daily routine, my skin does appear to be a little bit firmer - and my legs are twice as smooth. It's such a quick thing to do, I'm going to try and stick to this all the time. I picked up my brush in Superdrug for about £6, so this is a real bargain beauty tool. I'm a huuuuuuge fan of Nip + Fab products - no exaggeration. My obsession started when I tried out 'Bust Fix' after seeing it won rave reviews online (I'll also be using this in my holiday prep). 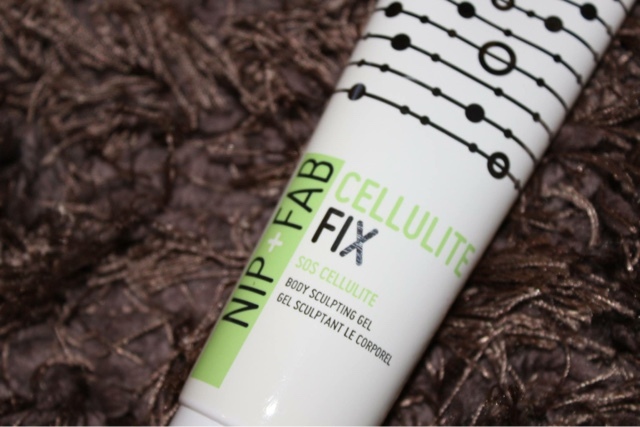 Cellulite Fix, which is endorsed by Millie Mackintosh, is formulated with cell active shape complex and caffeine which helps to breakdown and eliminate fat cells. It's intended to firm skin, reduce cellulite and leave skin smooth. While I don't so much need this specifically for the cellulite reducing properties, I've found its been great at making making the skin around my thighs and bum that bit firmer. I use this every day after showering and brushing, and I'm pleased with the results so far. The tube recommends using this twice a day for best results, so I'm planning on doubling my usage the week before flying. In the 'run up' (excuse the pun), to my holiday, I've been super busy but I'm still trying to squeeze in running a few times a week just to tone up a bit before donning my bikini. I'm signed up for the Race for Life 5k in July, so in keeping up my training for that I'm keeping my bod in check at the same time. Bonus! 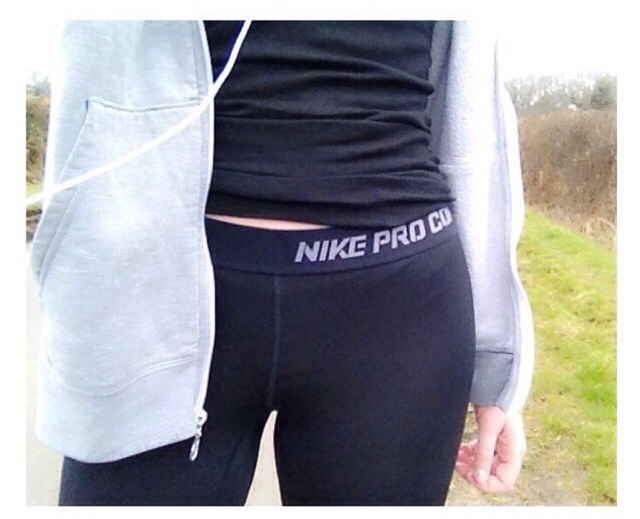 Running also tends to chill me out and I feel so much better after completing one,'so I'm enjoying the benefits to mind and soul - as well as body! I drink far less than is recommended on a daily basis so I'm trying to improve this in the interests of absorbing the benefits for my skin, hair and energy levels! Drinking water also helps to make skin more supple and strengthens collagen - which is just the sort of results you want to see in your pins! I'm aiming to drink 3l a day, and I'll definitely need to keep this up while I'm in the sun! What does your pre holiday prep entail? Stay tuned for the next part of my 'I do declare its summer...' posts!